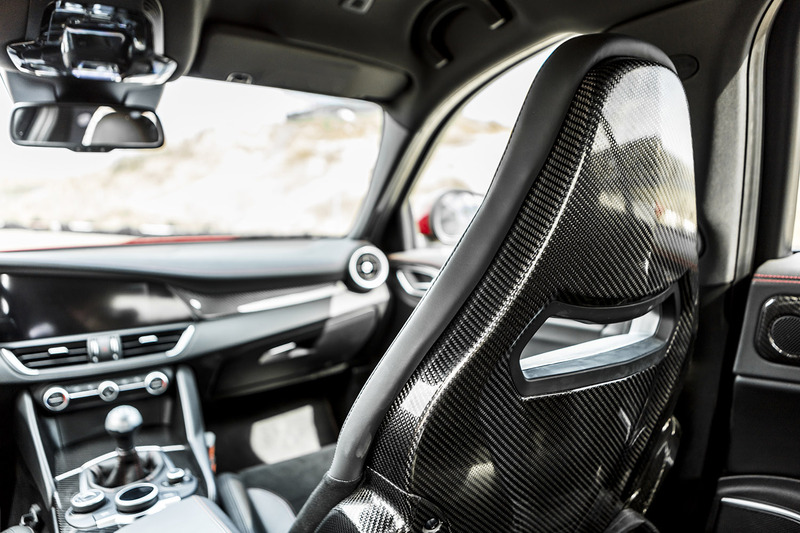 Carbon fiber racing seats, a manual transmission and a great V6 in the engine bay. If that's not a recipe for succes we don't know what is! 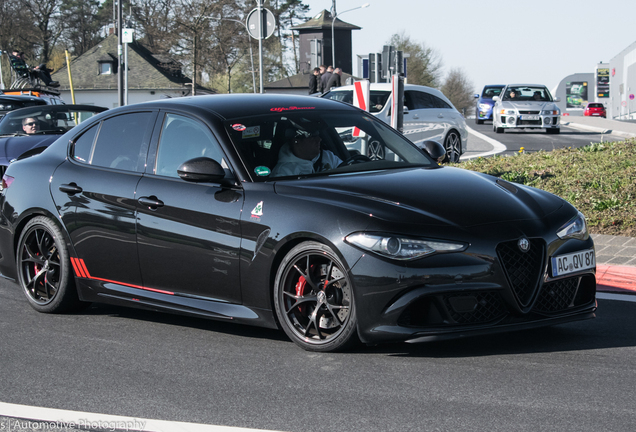 Don't call the Alfa Romeo Giulia Quadrifoglio a 'Giulia QV' under any circumstances. You'll get an angry mob of Italians on your tail! Alfa Romeo lost its track for a few years. They produced many boring cars without even the slightest bit of emotion. 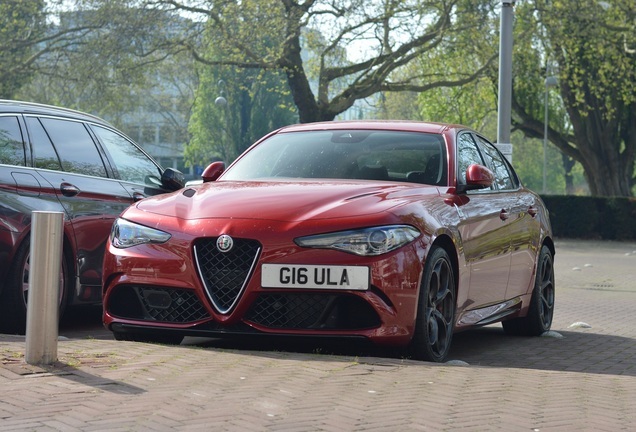 Since the Giulietta the company was heading in the right direction when all of a sudden the 4C was released. 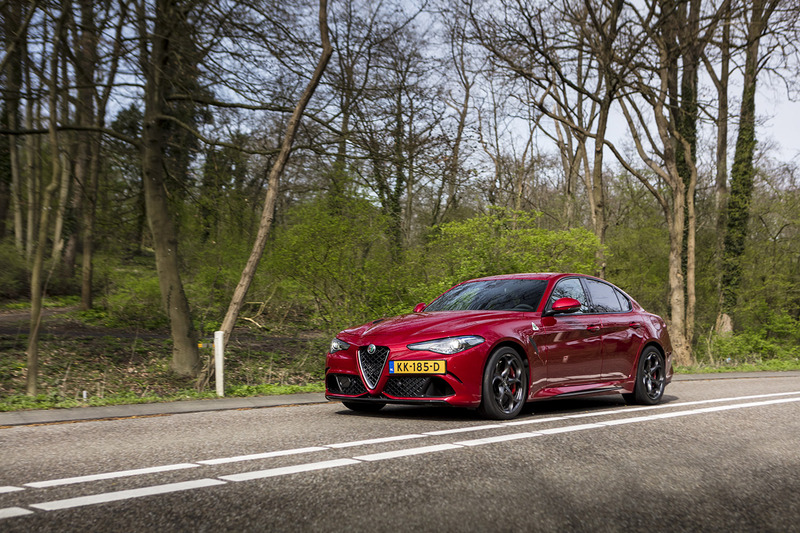 After the 4C the Giulia Q hit the showroom to give the BMW M3, Mercedes-AMG C63 and Audi RS3 a run for its money. 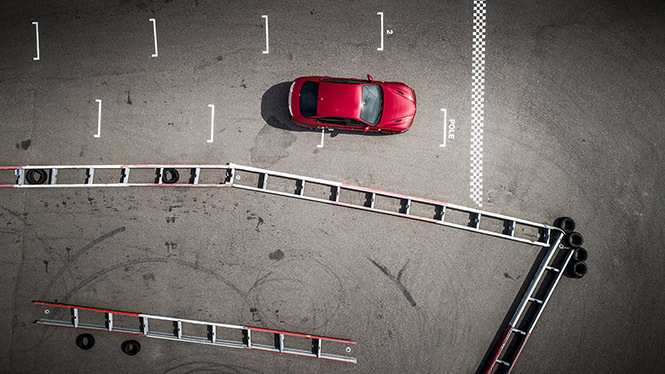 The company turned to their brothers at Ferrari for help in creating a car with some emotion and fortunately they had no problem helping them. 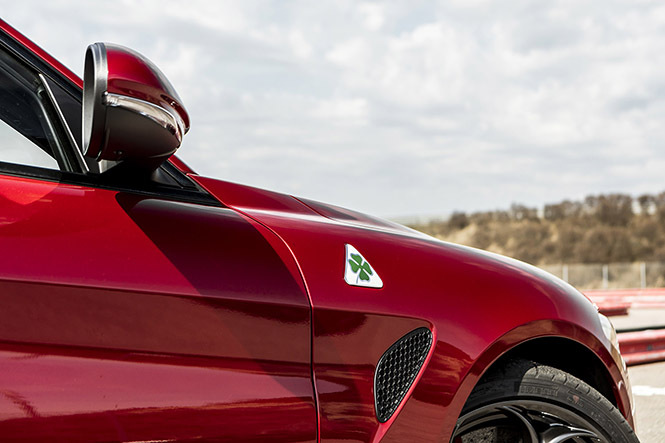 The great V6, producing 510 hp, was developed in partnership with Ferrari which results in a piece of engineering everyone will be happy about, especially when the engine gets fired up and the amazing sound fills your ears. The real fun starts above the 3k rpm when the valves open. Back to the start. 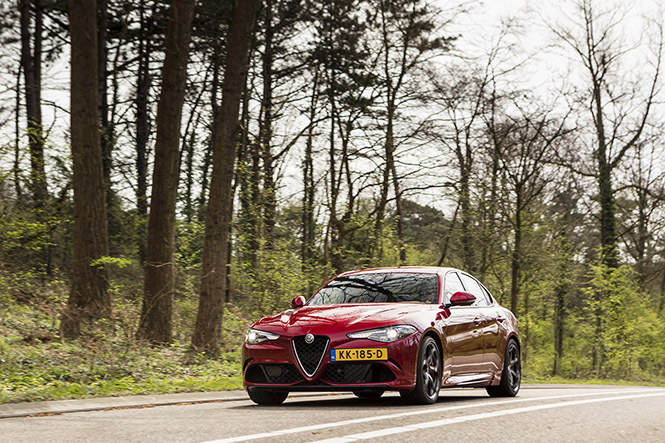 We were given the keys to the Giulia Q for a long weekend. The car looks great but it still has that 'sleeper' vibe going on. If you get in the car without knowing what you're stepping into you'll be in for a surprise. 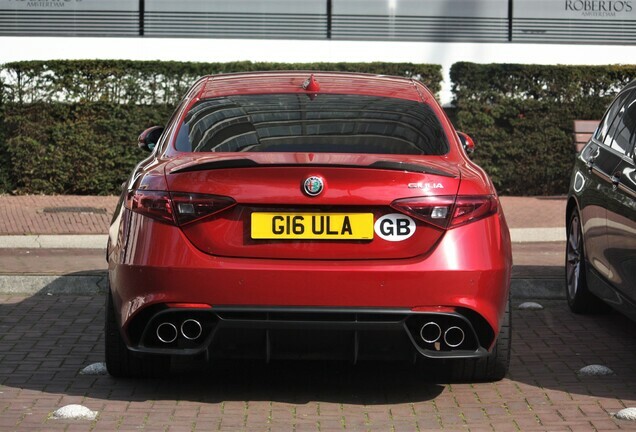 Even the first exhaust notes of the glorious V6 let you know that you're dealing with Alfa's top model. 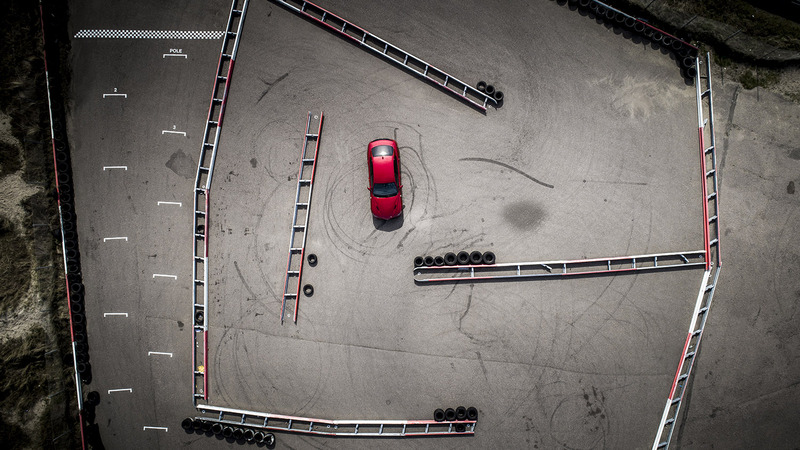 It's no boring commuter car with just enough horsepower to win a red-light race with your grandmothers VW. 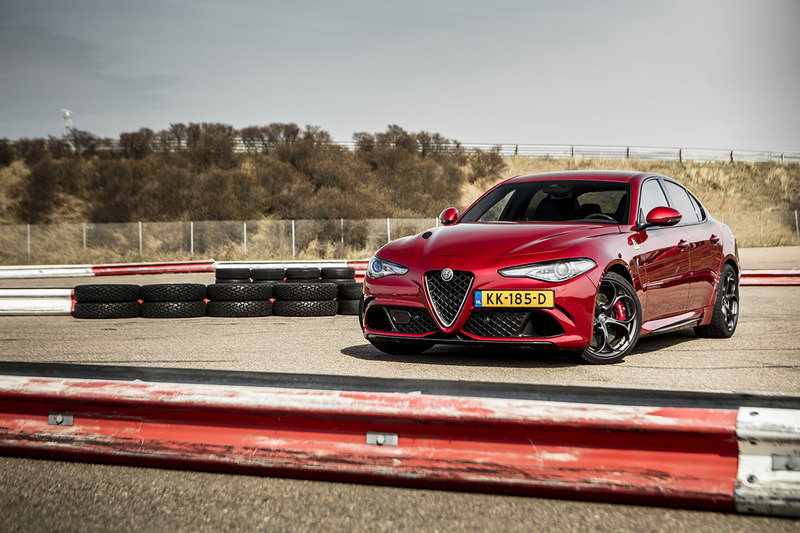 This car has 510 horses, 600Nm torque and a 0-60 time of 3,9 seconds. Oh, and a top speed of a whopping 307 km/h (190 mp/h). 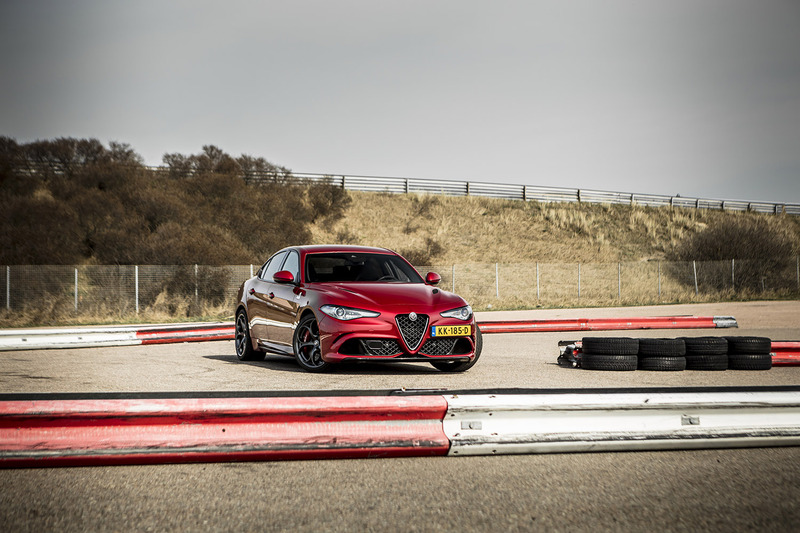 Alfa Romeo offers two possibilities. 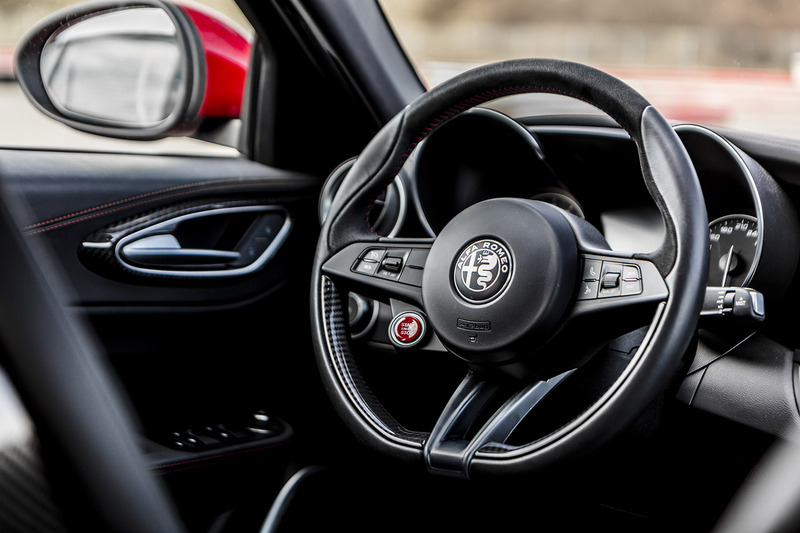 You can shift yourself in a 6-sped manual transmission of you can go for the more relaxed option which consists of an 8 speed automatic transmission. They cost the same so you don't have to take the price into consideration. 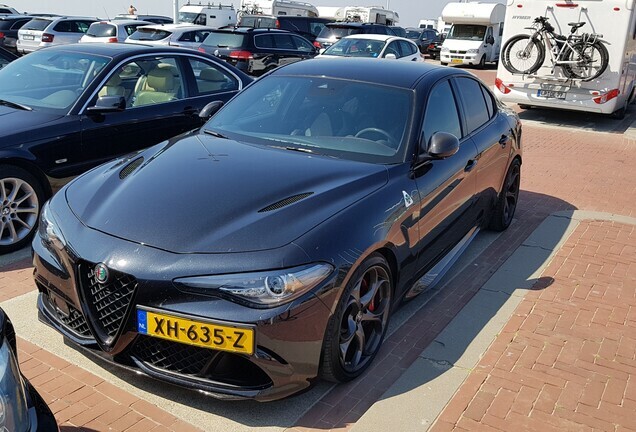 Speaking of price, the Giulia Q starts, in The Netherlands, at 112.030,- euros, this is without the carbon fiber seats or stock semi-slicks. Both of which you actually want to have to maximize the fun! 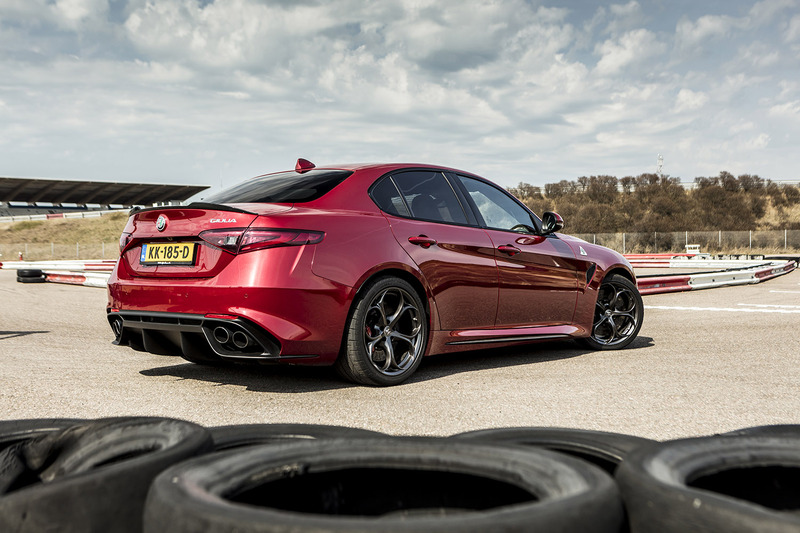 The semi slicks are a lot of fun but you'll have to pay attention with the first drop of rain. The 510 hp already makes for an unstable rear end but with wet pavement it's a whole other game. If you were blessed with a lead foot you'll be in for an exciting and intensive drive. 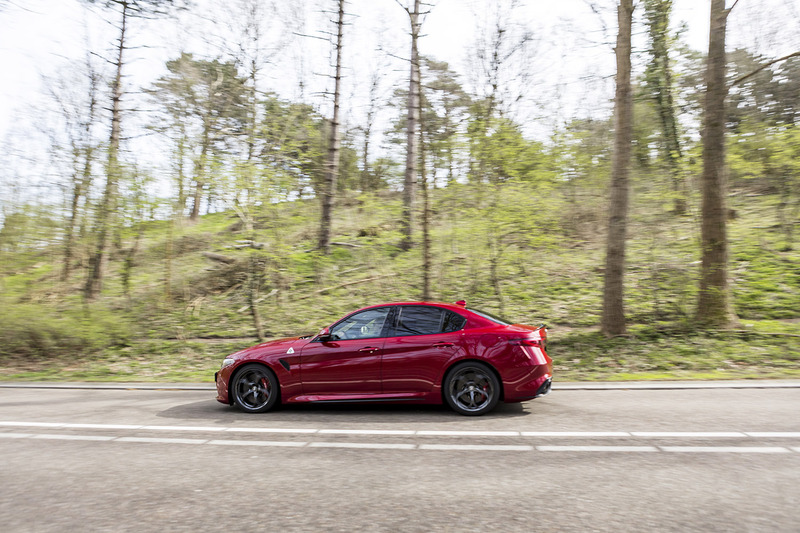 Fortunately the Alfa handles great, this is partially because of the perfect balance. 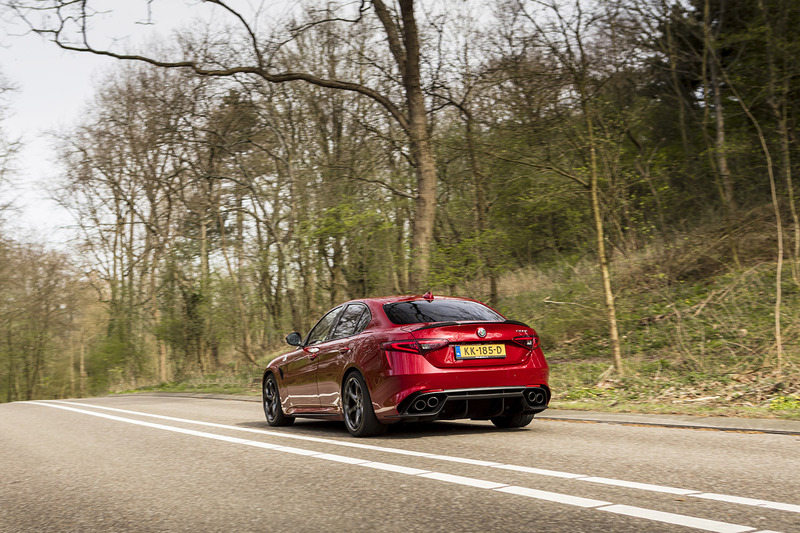 The car has a 50-50 weight distribution and did we mention the carbon ceramic brakes? It gives the car enough stopping power to stop an oil rig! 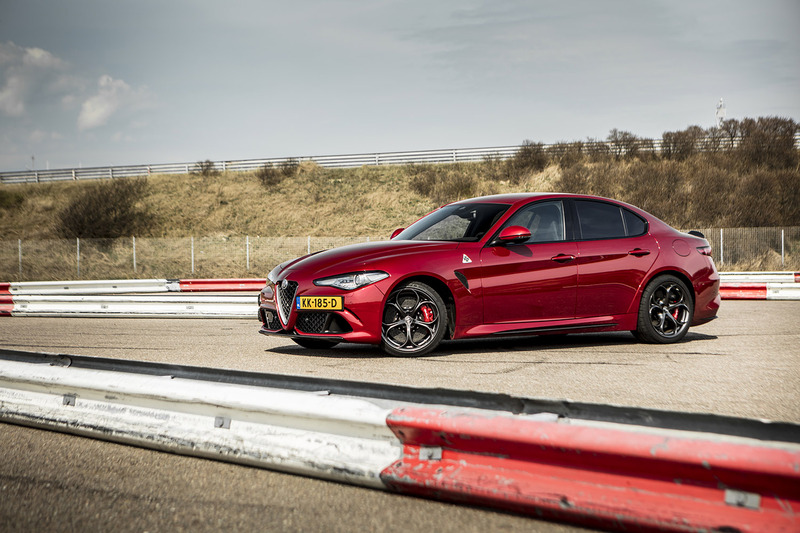 To make sure the Alfa Romeo Giulia Q wouldn't be picked on for being the fattest kid in the classroom Alfa did everything they could to keep the car as light as possible. 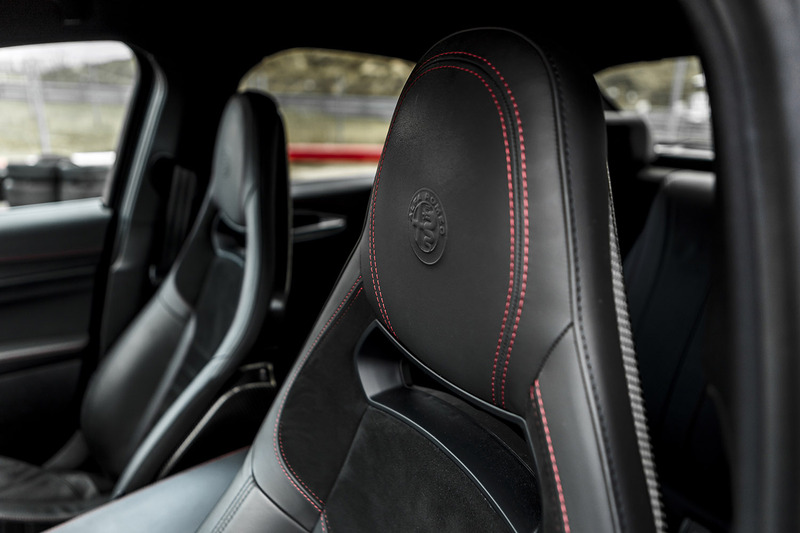 No useless features but fortunately not as bare as the Lotus of 4C. A healthy italian diet with lots of fiber (get it?) 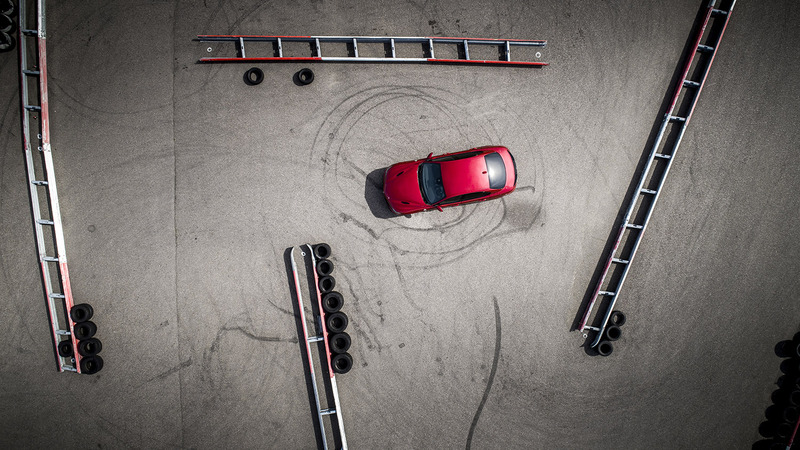 made for a car that weighs 1.655 kilos. 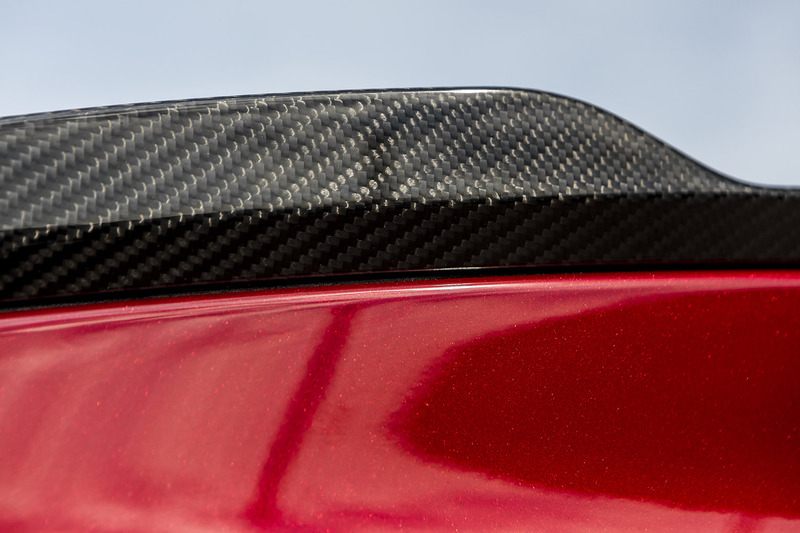 To achieve this they did many things, such as make the hood, roof and trunk out of carbon fiber. 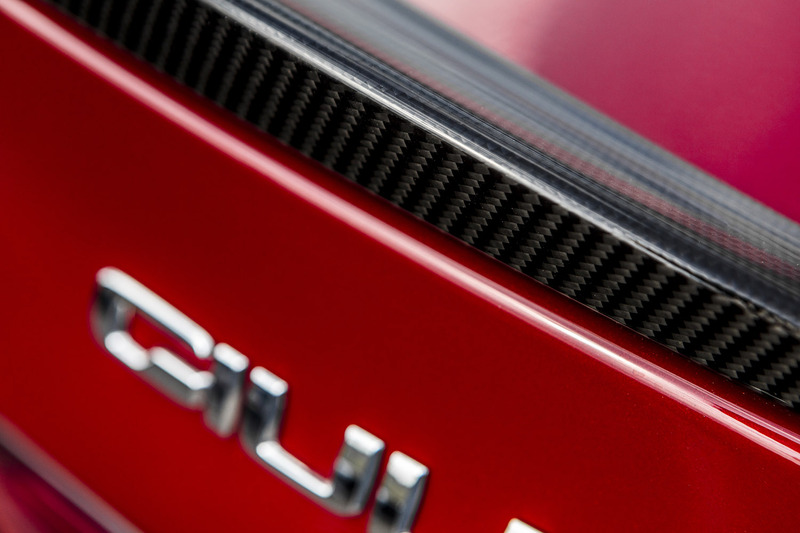 The doors and bumpers and even the engine are all made from aluminium. 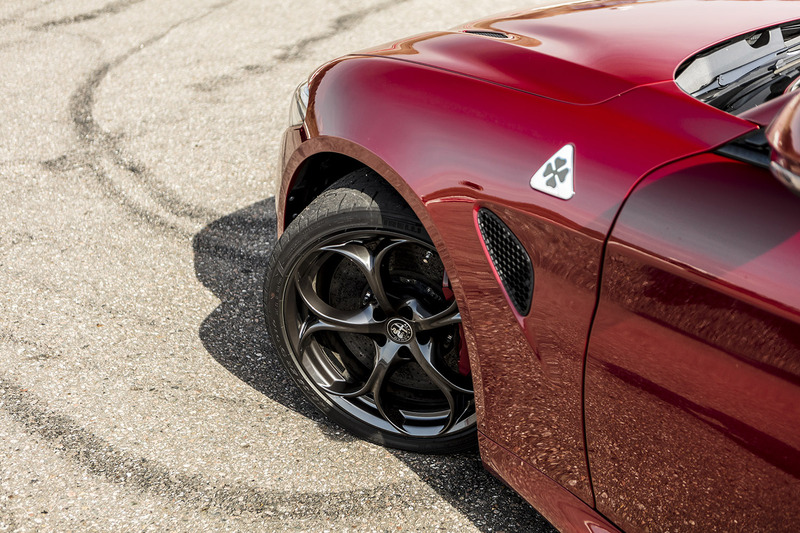 Alfa Romeo is back. 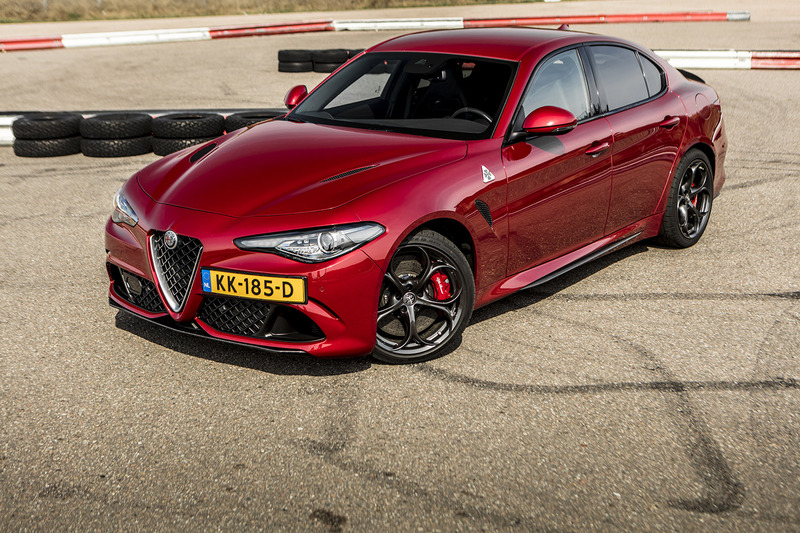 If this is the first car of many then the future looks very promising. 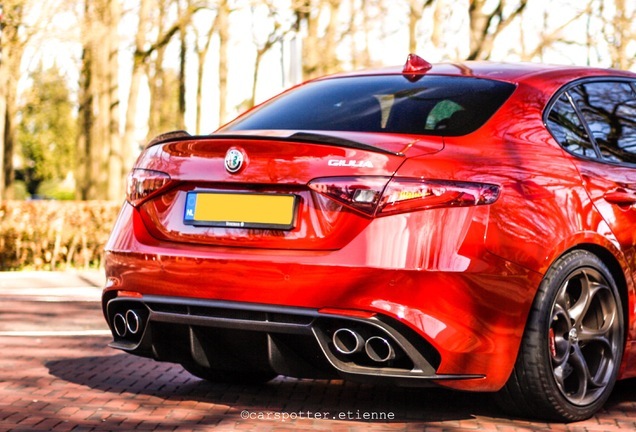 Great engines, awesome development and a beautiful design. 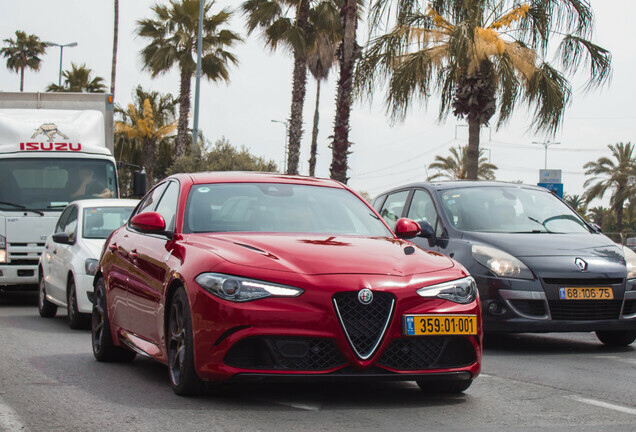 Let's be honest, this is a car you want and this car has a lot more emotion than, for example, its German counterparts. The only thing to worry about is the reliability but only time will tell that one!